The Treasury of Trousseau is a wedding show that brings stylists in the country to assist and advice patrons with all their wedding shopping and trousseau needs. This year DLF Emporio is proud to associate with Aki Narula, Niharika Khan and Gautam Kalra to style and build a dream trousseau for every bride and groom. A recipient of the Damania Fashion Designer award, he is famed for his vivacious collections that has adorn the leading ladies of Bollywood. His big break into Bollywood came with Yash Raj Films Bunty Aur Babli’. Aki is also celebrated for styling Ranbir Kapoor in Rockstar. This National Award winning costume designer is best known for her looks with Bollywood actors and actresses. Her costumes for Dirty Picture and Band Baaja Baaraat have won her National Awards, making her a sought after stylists in Bollywood. She is also known for her work in ‘Rock on’ and ‘Kai Po Che’. Her stylings will soon be seen in the movie, ‘Bombay Velvet’ starring Ranbir Kapoor & Anushka Sharma. A well-known stylist who has worked with leading Indian designers. His has worked across national advertising campaigns to couture, styling supermodels and Bollywood actors. Gautam has styled ad campaigns for brands such as Tanishq, Levis, Reebok, Wills Lifestyle, Reid & Taylor and many more. DLF Emporio will also showcase couture collections over the five days featuring Indian fashion labels such as AM:PM, Abu Jani Sandeep Khosla, Anju Modi, Ashima Leena, Ashish N Soni, Ensemble, Ganjam, Gaurav Gupta, Indian By Manish Arora, Janavi, Kotwara By Meera & Muzaffar Ali, Malini Ramani, Manav Gangwani, Monisha Jaisingh, Namarata Joshipura, Neeru Kumar, Ogaan, Peacock Bride By Falguni & Shane Peacock, Pashma, Raghavendra Rathore, Ravi Bajaj, Rina Dhaka, Rohit Bal, Rajesh Pratap Singh, Ranna Gill, Rohit Gandhi + Rahul Khanna, Rose, Shantanu & Nikhil, Signature By Satya Paul, Suneet Varma, Surekha Jain, Tarun Tahiliani, Turquoise & Gold, Varun Bahl and more. Speaking on the event, Ms. Dinaz Madhukar, Senior Vice President, DLF Emporio says, "With the Treasury of Trousseau, DLF Emporio offers its patrons a unique shopping experience specially dedicated to the most special occasion in one’s life. This five day long wedding show at DLF Emporio will focus on wedding styling solutions. We are proud to present some of India's most renowned fashion designers, international and ethnic-Indian brands to make this a memorable experience for every bride and groom. We welcome our patrons to the heart of luxury and bespoke services offered exclusively at DLF Emporio." One of India's most iconic designers, Rohit Bal adds "The DLF Emporio Treasury of Trousseau is truly the ultimate experience for all bridal wear. This one stop destination will have the most elegant and glamorous collections handcrafted by the leading bridal couturists of the country." Designer Varun Bahl adds "This is a great platform and what sets it apart from other such events is that you have three of the country's leading stylists along with the designers to help people select what looks best on them." Every new year we leave the past behind and look forward to a new future and that's what Fashion Weeks are about. Sensory and perceptive delight from a catalogue page does have a positive impact. Fashion Weeks today not just bring the upcoming trends in fashion, it brings with it sensation and association. Experiencing real images and involving with the product makes it easier for the brand and the consumer to develop a bond between them. Here today, EE identifies the biggies in the industry. One of the top notch fashion event in India is Lakme Fashion Week (LFW), run by Fashion Design Council of India (FDCI), a bi-annual fashion event that takes place in Mumbai jointly organized by Lakme and IMG Reliance. Aiming at redefining the future of fashion in India it also advances itself towards the global podium. This August, 2014, with glamour, fashion and celebrities, LFW integrated an engaging and dazzling kid’s show with Hamleys in association with Barbie and Hot wheels. Along with that, another activity asking for a selfie was initiated, rewarding the best selfie with invitations to the event. LFW sure do what they do best. Another big name is an initiative of Fashion One International and Azva in association with BMW, is India Bridal Fashion Week (IBFW), one of the biggest fashion affairs in India held in Mumbai and Delhi. It brings together some of the biggest names of fashion industry, providing one of the most pioneering platforms of aspirations and business for couture lovers, designers, celebrities, brands and socialites. 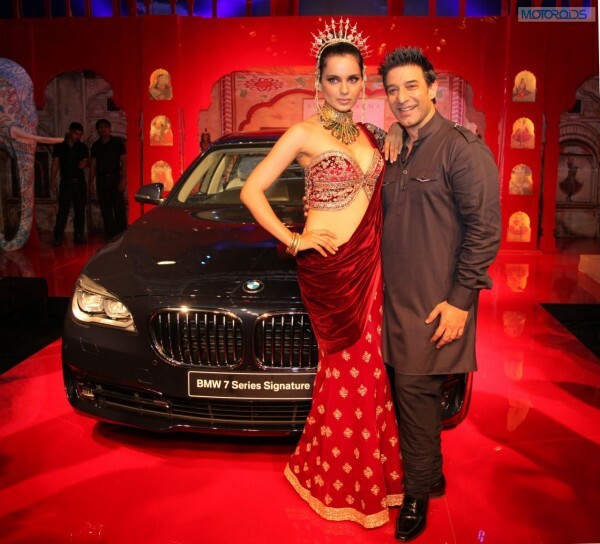 In its second edition in Delhi and sixth edition in India, BMW exclusively launched its new BMW 7 Signature Series. High end collaborations, endorsements and appearances by celebrities adds to its standard, building an audience connect. 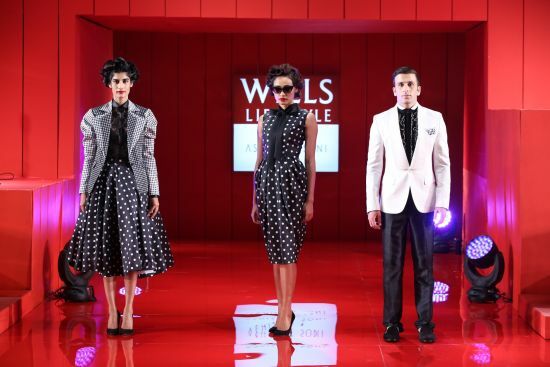 Wills Lifestyle India Fashion Week (WIFW) is a big name in the industry. It brings together eminent names in the business of fashion, creating a perfect platform for presenting the best of Indian fashion. It is a host for converging tradition and modernism in fashion. Staying true to its agenda of “business of fashion” it is a great platform for promising designers to reach out to prospective buyers at both domestic and international level. 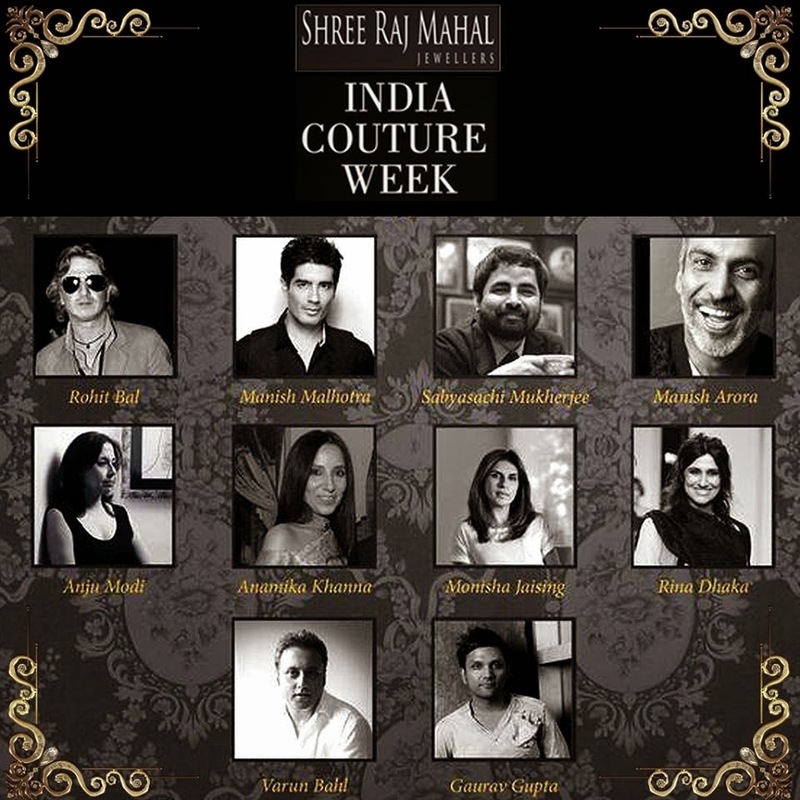 India couture week is also amongst the prominent names in the fashion trade in India. Providing Couture for Indian and international couture stores. In its recent activity Shree Raj Mahal Jewellers and Logix Group showcased finest design aptitude by top Indian designers. Inauguration of bridal jewellery by Shree Raj Mahal Jewellers and City Center Mall by Logix Group was a part of this couture week. Other events like “Signature Fashion Tour” by McDowell’s, “Bangalore Fashion Week” “Indore Fashion Week”, all add to the potency of Fashion industry of India. Aiming at an initiative to bring global designers to India and facilitate Indian fashion to establish connection with global fashion designers and global institutional buyers. India is fast becoming a consumer driven economy where people love to go on a shopping spree. An array of new retail stores of big brands have opened their doors to the public in malls. As a hub for both traditional and modern outlets, it is a shopper’s paradise. We have listed some of the popular Indian malls below, which not only entice shoppers but marketers alike, considering the huge footfall that these malls receive. Lots of widely appreciated experiential campaigns have been done in some of these malls. EE takes a stroll down to biggest shopping malls in India that are dearer to its masses, which the marketers should take note of. High Street Phoenix is a place frequented by domestic and international travelers in Lower Parel, Mumbai. It boasts of 14 movie screens, 20 restaurants, around 500 active stores including premium brands like Canali, Chanel, Emporio Armani, Jimmy Choo, Gucci, Burberry etc. and is even host to a five-star hotel. In 2010, Hamleys opened its first store in India in High Street Phoenix. The mall attracts footfall of around 65,000 during weekdays and 80,000 on weekends. 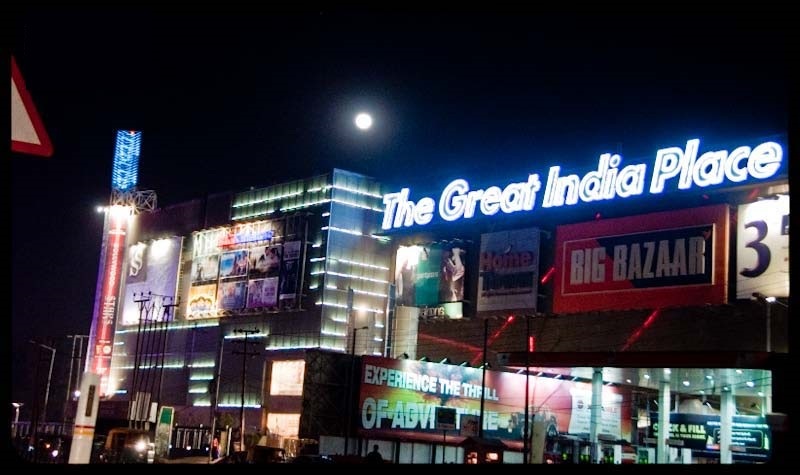 Great India Place in Noida is one of the largest operational malls in India. The mall has six movie screens operated by BIG Cinemas, an amusement park – World of Wonder and international fashion & lifestyle outlets like Guess, Marks & Spencers, etc. The mall even has 850 sq feet zone dedicated to a wedding bazaar. The mall attracts footfall around 35,000 during weekdays and 80,000 on weekends. 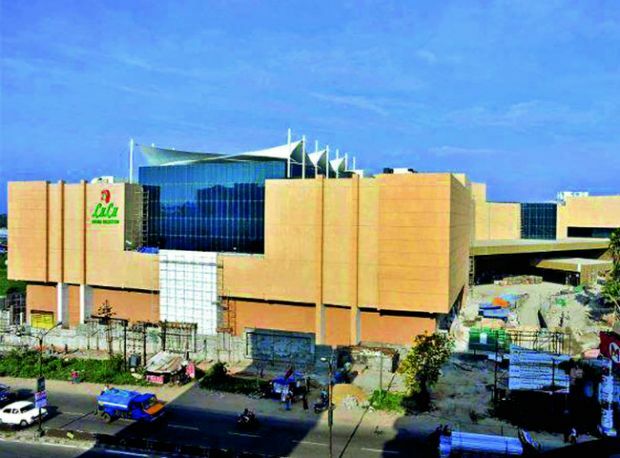 Situated in the center of Kochi in Kerala is Lulu International Shopping Mall. It encompasses a multiplex with nine screens of PVR Cinema besides three restaurants, more than 215 retail stores and 18 multi-cuisine kitchens that can accommodate 4500 people. Other facilities include party hall, indoor climbing, rides, arcade games and 5D cinema. According to Shibu Phillips, business head of Lulu Mall, the mall attracts footfall of around 70,000 during weekdays and 1 lakh on weekends. 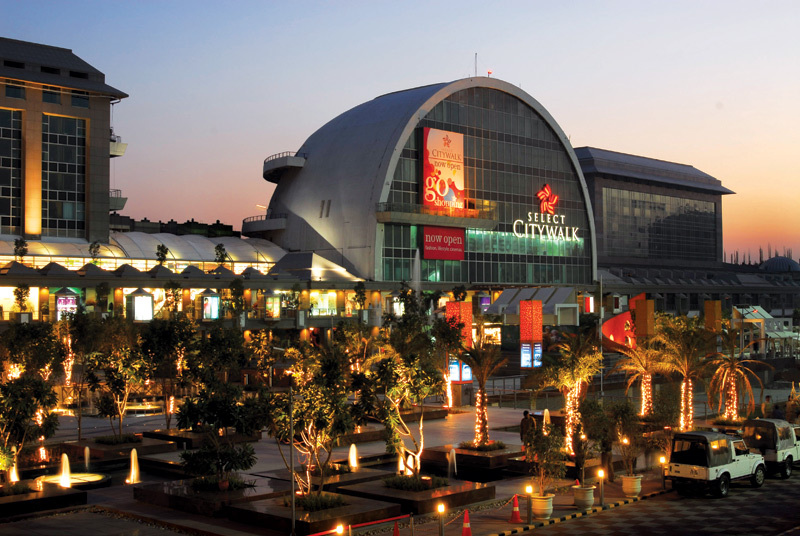 As the Capital of India, New Delhi has Select CityWalk mall to provide a huge shopping area and varieties. 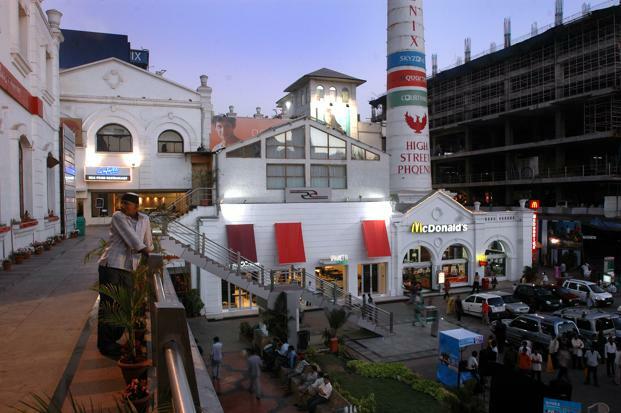 It is the biggest shopping place in Delhi with a multiplex that has six screens of PVR, a multi-cuisine food court—Food Talk, with several restaurants including Pizza Hut, Chicago Pizza, KFC and around 180 retail outlets and 600 plus brands which include luxury brands like Gant, Guess, Chanel, Bobbi Brown, etc. The mall attracts footfall of around 45,000 during weekdays and 65,000 on weekends. 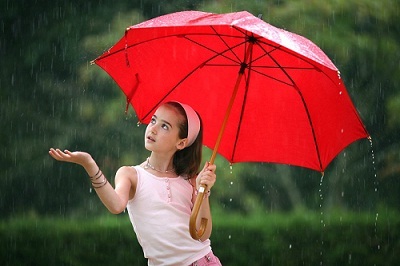 1- Check out your wardrobe and wear those bright colour dresses in rainy season. These will help you look good and even boost up your spirit also. It will also look good, as most often there are clouds during the day in rainy season. It is better to keep the material cotton of your dress in case there is rise in humidity. However, cotton is an all time favorite. Cotton clothing are extremely comfortable and even versatile in changing temperatures. 2- A cute umbrella can be an accessory. There are so many adorable and cheap umbrellas available at stores,so there’s really no excuse to stick to basic black. Buy a couple in your favorite colors if you live in a really rainy area and use them to add color to your look. 3- Go crazy when it comes to rain boots. There are so many cute rain boots out there today to fit any sense of style – they literally come in every color under the sun. Have fun and find a pair you love! Much like umbrellas, you can go completely nuts with your rain boots and no one will mind. 4- Do not use light sleeper it can spread mud on your dress from backside instead of light sleeper use good quality synthetic leather sleepers. 5- Loose, cotton clothes are the best during monsoon. It is advisable to avoid jeans as they do not dry quickly. Also, use talcum/prickly heat power in areas which are more prone to fungal infections. Do not wear wet shoes as this might lead to more infections. Invest in another pair of shoes, so that you have an alternate pair handy. Avoid walking bare footed. 7-Avoid getting your feet wet. In case you do end up walking into one of those puddles, immediately clean and dry them with a soft, dry towel. Dampness can lead to fungal infections and athlete’s foot. These infections might affect your toes and nailsand if you are diabetic, you will have to take special care of your feet. Keep your shoes, socks and raincoats clean and dry at all times. Using the fumes of dry neem leaves to dry your clothes is said to be helpful. 8-Make sure that you wash all your fruits and vegetables before consuming them, especially leafy vegetables. Steam the leafy vegetables and your cauliflower in order to kill the germs. Contaminated food might lead to illnesses such as jaundice. Eating freshly cooked food is recommended. Soups and stews are helpful, as they are light and nutritious, but filling. Try and eat cooked food instead of uncooked vegetables and salads, unless they are organic. Dussehra: The Festival of "Victory of Good over Evil"
Dussehra or Vijaya Dashami is an important Hindu festival. It is celebrated by Indians every year in the Hindu Vikrami Calender month of Ashwin (September / October). This is also the festival marking end of Navratri and the immersion of Durga idols which are worshipped for nine days prior to Dussehra. Dussehra is also the day when many families start formal education of their kids. The practise has been so old, that in some parts of Kerala, even after conversions to Christianity, some members of the community continued this tradition. This day marks the triumph of Lord Rama over Demon king Ravana. On this day, Rama killed Ravana and freed his wife Sita after leading an army of monkeys. Sita was taken by Ravana from Ramas Ashram to avenge the insult of his sister Shoorpanakha who had proposed to marry Ram (or Lakshman) but got her nose cut off by Lakshman when she tried to hurt Sita. As per Ramayan, Ram did Chandi-Puja and invoked the blessings of Durga to kill Ravana. The war against Ravan lasted for ten days. Sita had been returned to her husband Ram and they now make their way to Ayodhya in triumph and glory. Thus, it is on the Diwali day that Lord Ram, the incarnation of Lord Vishnu in the Treta Yug, returned to his capital Ayodhya after the exile of fourteen years. Dassera day is considered a most auspicious day. It is a time-honored belief that if any new venture is started on this day, it brings success. Hence, all the undertakings be it laying-in of foundation of a new building, opening of a new commercial establishment or even initiating a child into the world of learning- are started on this day. Houses and shops are decorated with flower studded strings called 'Torans' (Floral Gateways) Also on this day vehicles, machineries, books, weapons & also tools are worshipped. Local customs inevitably colour the forms and interpretation that the festival receives regionally, but Rama's victory is always the centrepiece of the celebrations. On this day, the effigies of Ravana, Kumbhakaran and Meghanad are burnt; which are stuffed with crackers. In burning these effigies the people are asked to burn the evil within them, and thus follow the path of virtue and goodness. Especially children enjoy seeing this because of the beautiful fireworks on the ground. The festival which is thought as the 'Victory of Good over Evil' & "Return of God from Exile'. In Himachal Pradesh, it is famous as "Kullu Dussehra", a week long fair in the hill town of Kullu, is a part of the Dussehra celebrations. From the little temples in the hills, deities are brought in procession to the 'maidan' in Kullu, to pay homage to the reigning deity, Raghunathji. In Southern India - Tamil Nadu, Andhra Pradesh and Karnataka, families arrange dolls (Bommai Kolu) on artificially constructed steps and prepare an elaborate spread of lamps and flowers. Women traditionally exchange gifts of coconuts, clothes and sweets. They sing songs, tell stories that the dolls might depict and eat a dish made out of chickpeas (choondal). The whole set up is put up on the very first day of Navaratri. After the Saraswati pooja on the ninth day, the whole set up is taken down on Vijayadashmi. Vijayadashami is an auspicious occasion for children to commence their education in classical dance and music, and to pay homage to their teachers. In Western India,especially in Gujarat, the evenings and nights are occasions for the fascinating Garba dance. The women dance around an earthen lamp while singing devotional songs accompanied by rhythmic clapping of hands. In northern India, the festival wears the colourful garb of Ramlila wherein various incidents from Rama's life are enacted, as is the destruction of Ravana and Bharat Milap, that is the reunion of Ram and his estranged brother Bharat, on the former's return to Ayodhya after 14 years of exile. People also doing fasting during the nine days of Navratri. In Bengal, the festival is celebrated as Kali Puja or Durga Puja .The vibrant festivities last for ten days, of which nine nights are spent in worship, 'Navaratri'. The tenth day is devoted to the worship of goddess Durga. Beautiful idols of the Mother Goddess are worshipped in elaborate pandals for nine days, and on the ninth day, these are carried out in procession for immersion (visarjan) in a river or pond. The rich increases in numbers every year. India has around 25,000 families with annual, income of Rs. 50 lakes plus, which is likely to double in the next five years. The rate of growth of the rich has outdone the rate of growth of middle class groups. According to a recent 'KSA Technopak Survey' there is a big market for high-end luxury products in India. Out of the total watch market of 22 million units, brands like Tag Heuer, langines, Christian Dion, Rado account for about 5 to 10% of the sales (in terms of money it is Rs 150-200 crore), out of which the major buyers are from Mumbai & Delhi. Of the premium cars namely Mercedes, Sonata Octavia, Lexus, nearly 10,000 are sold every year. Last year 15 Mercedes sports roadster priced at Rs 85 lacks were sold in India. Till May 38 S-class cars priced at 62 lakes have been sold. New age neighbour's envy (but owner's pride) 42"plasma display model by Samsung electronics has been priced at Rs. 4,75.000. It is ultra slim and can be hung on the wall. Around 100 pieces were sold by December. This year, they expect to sell 500 by December..
Louise vuitton bags launched last year sells 12 to 15 bags on a per day basis. The bags are priced at Rs. 35,000-1 lack..
Mont blanc pens with solid gold iridium tip nibs whose avg. price is Rs. 15,000 have an adequately high sales report. Reason for such a major drift in the tastes of people varies from person to person. Some buy them for passion some do it for comfort. Money doesn't play its pant, it only provides convenience. Social recognition may be the reason for some. But a sense of security and self-esteem are the major pulling factors.